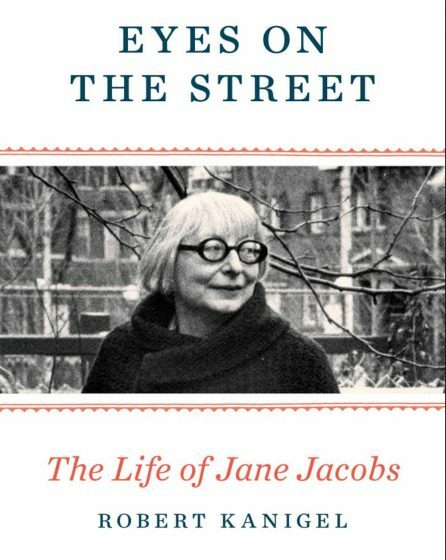 Eyes on the Street: The Life of Jane Jacobs, by Robert Kaniglel. 2016. Knopf. 512 pages. Buy the book. 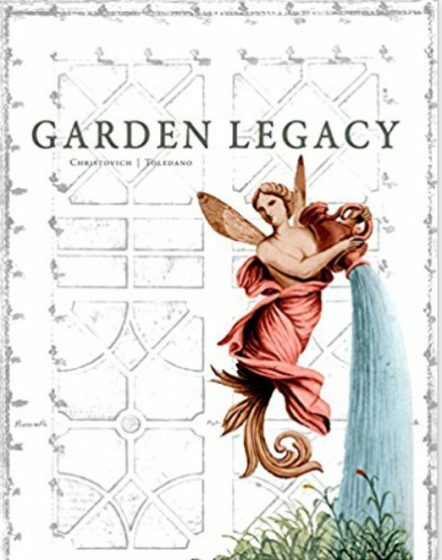 Garden Legacy, by Mary Louise Mossy Christovich and Roulhac Bunkley Toledano, with a foreword by S. Frederick Starr. 2016. The Historic New Orleans Collection. 268 pages. Buy the book. Ecocities Illustrated: the easily built visionary future of Richard Register, by Richard Register. 2016. Buy the book. The pile of books that I am reading is usually a hodgepodge of different subjects and eras. But this month there seems to be a theme. The new, well-regarded biography of Jane Jacobs, an illustrated history of New Orleans landscape architecture, and a new book about designing cities using natural forms are all there. Clearly, I am presently concerned about cities. And especially about my own city of New Orleans and those similar, meaning those that start as a colony, and continue to find it difficult to know how to design a visionary future with those who live there. 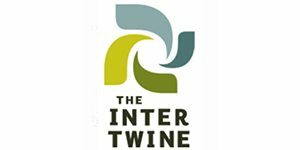 Cities are made better when their spaces are designed with citizens’ full input, using the patterns of nature and when managing precious resources ably, so they and future generations can live in harmony with each other and with the natural world. New Orleans, according to many locals, is in a downward spiral that has quickened since 2005’s Hurricane Katrina’s levee breaks, an event seen by locals as a betrayal of the city by the federal government and the Army Corps of Engineers. But even before those dark days, the decay of this colonial city has been tragically evident for some time. I remember a colleague saying decades before, quite earnestly, that New Orleans has been in decline since the late 1860s. His (and others) definition is referencing those leaders who, from the 1860s to the 1960s, began to actively promote and support the narrative of the city’s slavery era over the city’s more multicultural story—the one which has seen waves of successful immigration, the development of a modern art form in jazz, heroism in managing the most important river basin and Southern port on the continent, artists who offer poetic tales of the human condition that stand the test of time, the genial and joyous use of public space unparalleled by any other Global Northern city, and so on. In order to continue to serve the false narrative of the “glory” of the antebellum period, the continued presence of a subjugated population and an official lack of regard for the intrinsic value of the place were continued and define New Orleans as a colony still. The ongoing attachment to the colonial mindset by many here was made clear yet again in 2016 when Mayor Mitch Landrieu decided that four statues of U.S. Civil War Confederates, erected during the Jim Crow days, were to be removed from public space. [Jim Crow laws were enacted by local and state governments to enforce racial segregation and discrimination in the United States from the late 19th Century up until, in some cases, the 1960s.] The city remained in an uproar for the next six months as the idea was debated in contentious City Hall public hearings and in boardrooms and bars. The lack of agreement on what to do was indicated by the Council’s vote of 6-1 to remove the statues but with no funds provided and the business community’s ignoring the mayor’s pleas for equipment loans for their removal. As the last of the four statues was dismantled (by masked city workers) on the evening of 22 May 2017, Confederate flags were still being waved by defiant protesters in front of weeping African-American activists who thought that even this the day would never come. The argument continues as decisions about where the statues will go and what will be raised in their place have yet to be made as of this writing. What is clear already is that the issue of racism will continue to tragically thrive in a city populated by a majority of people of color. That long decline and the current controversy for updating its symbols in public spaces is why my current pile of books is about public involvement in the design of cities. One person who considered this issue in great detail was writer Jane Jacobs, best known as the author of The Death and Life of Great American Cities, Cities and the Wealth of Nations, and six other books, including a children’s book and a memoir about a great aunt who was a teacher on Alaska’s frontier. Her life is the subject of a new opera, a new documentary (“Citizen Jane: Battle for the City”), and the impetus for a series of annual walks (“Jane’s Walks”) organized in a dozen cities on the anniversary of her birth in early May. Since Jacobs’ work could never be separated from the places and people that she lived in and around, Kanigel’s biography offers much relevant detail about how that life was shaped. And because she will be quoted for generations, it is helpful to finally have a record of the circumstances about each of her books to refer to when others get her wrong. Of course, her big idea was that cities were the intersection of achievement and innovation and to fulfill that role, had to be considered and managed according to their best uses in making human-scaled connections, and not through a lens of bureaucratic tangles of misshapen policy and hubris handed down from City Hall, or by the best way for developers to sell it. Her consistent disdain for top-down, by-the-book planning and economic theory was on display to such a degree in her books and interviews that is understandable why some of those by-the-book planners or economists still dismiss her work. After all, this biography shows again and again that she expected those officials to shut up, to listen, and to observe. An aside: Even her supporters can quibble with a point of hers here or there, but still read her words with gusto: one such example is she believed that cities came before the development of agriculture, a theory not supported by most archaeologists or anthropologists, then or now. This is one of those ideas that may be seen as an indication of the zeal that she had for her subject rather than her relying on a great deal of empirical evidence to support her theory. Even so, her few miscalculations notwithstanding, her brilliantly crafted analysis stands the test of time, parrying most of the slings and arrows of her detractors and leaving no doubt that her practical and accessible prose with its curious, professorial voice will continue to inspire new generations. That disdain for top-down decisions was developed in the work she also managed to do even while becoming a best-selling author: being a savvy neighborhood organizer in New York and later in Toronto. The role of a community organizer and its focus on temporal tactics is in many ways the antithesis of the role of an author specializing in deep analysis of different systems, and so the details of those campaigns in Kanigel’s book make her seem even more impressive. Through anecdotes and letter excerpts, her belief in direct action was made clear and her skill as a grassroots leader presented with engaging detail by the author. 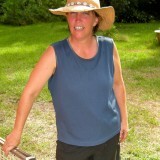 Is New Orleans a great city when seen through Jane’s spectacles? In some ways it is, because of the resilience of its people, who are doing exactly what she noticed in place after place: finding ways to make public and private spaces useful, beautiful, and dynamic even when those in charge make it difficult. The authors, Mary Louise Mossy Christovich and Roulhac Bunckley Toledano are both well-known preservation activists in New Orleans. Christovich was instrumental in the successful fight to stop the 1960s federal highway spur project slated to run through the French Quarter, originally proposed by none other than Robert Moses. The authors are both experts on the architectural history of New Orleans, having authored over a dozen books on the architecture and preservation of New Orleans, (eight together) including Toledano’s impressive A Pattern Book Of New Orleans Architecture. 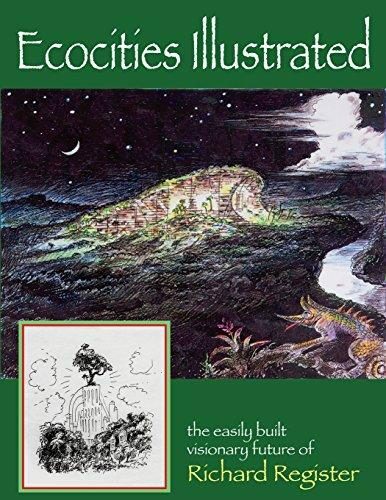 Thinking about design of natural places leads me to Richard Register’s book: Ecocities Illustrated: the easily built visionary future of Richard Register. I met Richard when he came to New Orleans during the recovery from 2005’s levee breaks during Hurricane Katrina, hoping to inspire planners and neighborhood leaders with more relatable and sustainable recovery designs. He saw much potential in using the natural world that had reasserted itself since the levee breaks as the basis for rebuilding. His work to illustrate living cities that resemble the human body or other natural curves and designs has always been thoughtful and hopeful and those qualities were in short supply in New Orleans in those (literally) dark days. Yet I remember meeting with him in my Federal Emergency Management Agency-supplied trailer at the edge of the very bayou that had spilled over its banks into my apartment months before and telling him regretfully that I was at a loss to find people in power who would be open to his wonderful ideas. The truth was, at that moment City Hall and most residents were suspicious of people who came with visionary ideas (actually, the suspicion of any outsider with ideas is a typical colonial mindset) and would be doubly so of those who expected them to love the natural world and its power so soon after it had destroyed their homes and lives. It may just be that he simply came too soon: in 2017, many natural design projects and collaborations are now underway, especially in terms of living with the water that surrounds us rather than frantically attempting to pump it all back to the Mississippi River or to Lake Pontchartrain. As a result, New Orleans is becoming a center for sensible water management and in the battle against coastal loss. Still, many scientists expect the erosion and increased ferocity of the weather patterns to submerge our city within the next century. Nevertheless, we persist. After he went back to California, I bought his Ecocities, book and did my best to share it and his ideas with any neighborhood leaders who would consider honoring those recalcitrant waterways and would allow native greenery to take over previously paved areas. I’m not even sure whose library that book ended up in (as it was passed into so many hands in the last decade), but I hope it helped steer some of my colleagues towards those offering better design. His new book offers many of his original lovely, quirky drawings that are at the basis of his presentations and books. These illustrations allow citizens to imagine their city as a whole, living organism, rather than as asphalted streets, laid out to save time or money, but not to encourage human-powered traversing or to offer a style of living that works easily and well. The sketches are organized by subject: whole cities, plazas, transport, natural features, and mapping, accompanied by strategies for advocating for them. He shows examples of how places can uncover their natural rhythms and spaces so that floods, winds, and other natural phenomena don’t have to destroy them. In addition to serving as a primer for the ideas of natural designs for cities, it serves another purpose: as an illustration of Jane Jacobs’ theories, and of the words of that New Orleans settler who marveled over making one’s way using the shade of the orange tree alleys. Here is what these books and these writers have taught me this spring: A city’s best eras are not defined by its bureaucracy or only by its grandest designs, as even those designs can be divisive, badly crafted or out of scale to the patterns of use in that city. 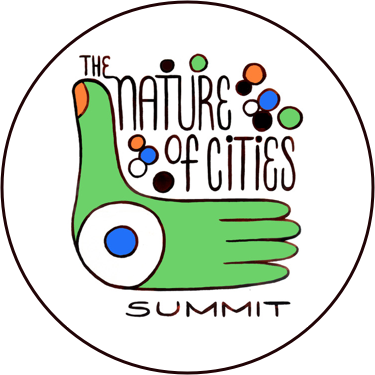 Cities are made better when their spaces are designed with citizens’ full input, using the patterns of nature and when managing precious resources ably, so they and future generations can live in harmony with each other and with the natural world. Click on the images below to buy the books. Part of the proceeds return to TNOC. Working since the 1980s on social change issues while encouraging civic activity across North America, Dar provides support and consulting for localized food systems, especially farmers markets.